Second baseman Jonathan Schoop had been overshadowed by teammate and friend Manny Machado in the past, but no Oriole had a better 2017 than Schoop. 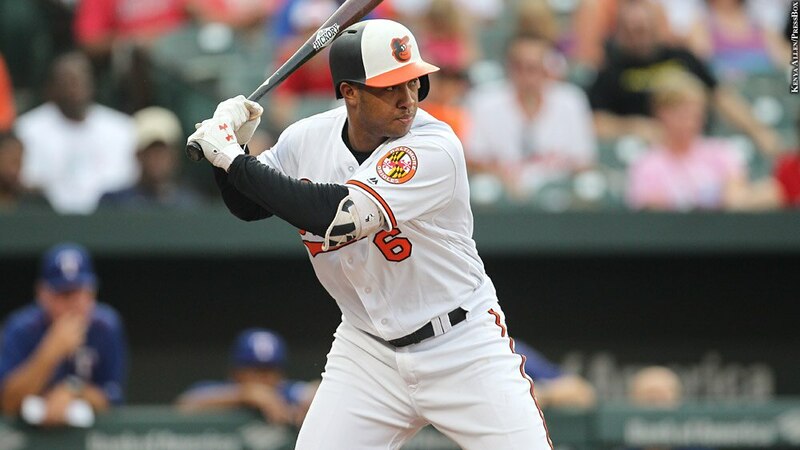 Schoop was named Most Valuable Oriole, and after watching Machado play in three All-Star Games, Schoop made his first All-Star team while Machado watched from the stands. Schoop's mentor, third base coach Bobby Dickerson, brought Schoop into manager Buck Showalter's office for the news about the All-Star team, implying he was there because Schoop had been traded. Dickerson began to cry when Showalter told Schoop he was an All-Star. Dickerson has been close with Schoop for years, going back to when Schoop wasn't considered a top prospect. In 2017, the 26-year-old set team records for home runs (32) and RBIs (105) by a second baseman. His biggest thrill came when he played in the All-Star Game in Miami, Machado's hometown. "I'm going to stay in his house," Schoop said jokingly when he was named to the All-Star team. "I want to bring my family to stay in his house."